Spring At It's Finest is a photograph by Lynn Bauer which was uploaded on January 20th, 2013. 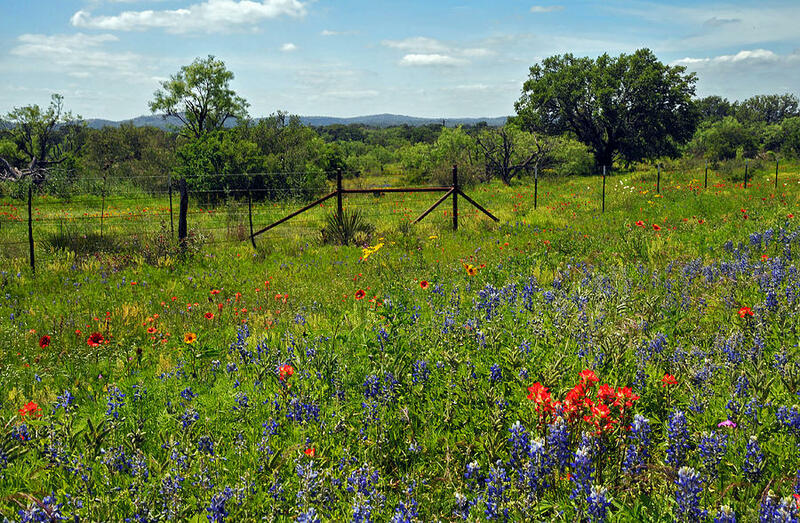 The lush greens of the Texas Hill Country in spring provide the perfect backdrop for colorful wildflowers. If you happen to stumble onto this photo, please check out my extensive line of wildflower photos from Texas, California, and a few other random places. I have galleries for the states, as well as a collective Wildflower Gallery. The Texas Hill Country is a term applied to a region of Central Texas featuring tall rugged hills consisting of thin layers of soil atop limestone or granite. It also includes the Llano Uplift and the second largest granite dome in the United States, Enchanted Rock. The Hill Country reaches into portions of the two major metropolitan areas of Central Texas, especially in San Antonio's northern suburbs and the western half of Travis County, ending just west of Downtown Austin. The region is the eastern portion of the Edwards Plateau and the easternmost region of the American Southwest, and is bound by the Balcones Fault on the east and the Llano Uplift to the west and north. The terrain is punctuated by a large number of limestone or granite rocks and boulders and a thin layer of topsoil, which makes the region very dry and prone to flash flooding. The Texas Hill Country is also home to several native Southwestern types of vegetation, such as various yucca, prickly pear cactus, cedar scrub, and the dry Southwestern tree known as the Texas live oak. Beautiful. Must be in Texas!